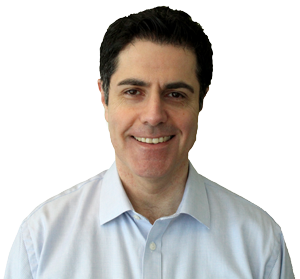 Longtime Dallasite and Katy-Award winner David Marcus has enjoyed a 20-year career in Television News and Sports before arriving at WBAP/KLIF. He hosted a nightly call-in show, “SportsTalk” on KFWD-TV at Victory Plaza, featuring in-studio guests from the Cowboys, Mavericks and Rangers. He has also worked in Denver and Milwaukee, covering the Broncos and Packers, among other teams. He was nominated for a Midwest Regional Emmy Award for his story on NFL veterans struggling to receive pension payments. He was one of the first reporters reporting live from Kiln, Mississippi, Brett Favre’s hometown, following the Hall of Famer’s first retirement. David won a Texas Katy Award for Breaking News during his first job in South Texas, reporting on a fatal killer bee attack. He has also been a News Anchor in Fresno and Wichita, focusing on stories exposing consumer scam artists. David studied Broadcast Journalism graduate coursework at the University of Texas at Austin. He received his B.A. from the University of Pennsylvania. He first began his undergraduate studies as a Drama major at the University of Southern California, but decided against a career in acting. He did enjoy a much-heralded audition for the lead role of Lloyd Dobler in the film “Say Anything”, sadly losing out to someone named John Cusack. David enjoys helping get lost pets adopted and has been a foster owner. In his spare time, he tries seeking out new restaurants, attending film festivals, live music, playing fantasy football, and gaming.